There has to be no doubt that Ronda Rousey is the hottest commodity for Dana White and the UFC. She has a book coming out, she’s on the cover of Sports Illustrated and she has yet to be defeated inside the Octagon. 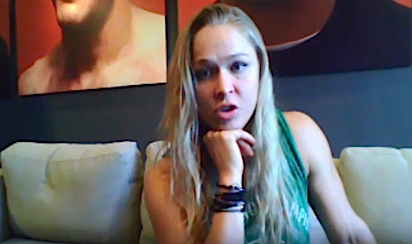 Ronda’s 2015 has been a whirlwind. She made an appearance in Fast 7, she dismantled Cat Zingano with the quickness and she continues to carry the UFC on her back. Amazing! Ronda steps back into the cage to face Bethe Correia at UFC 190 later this year.